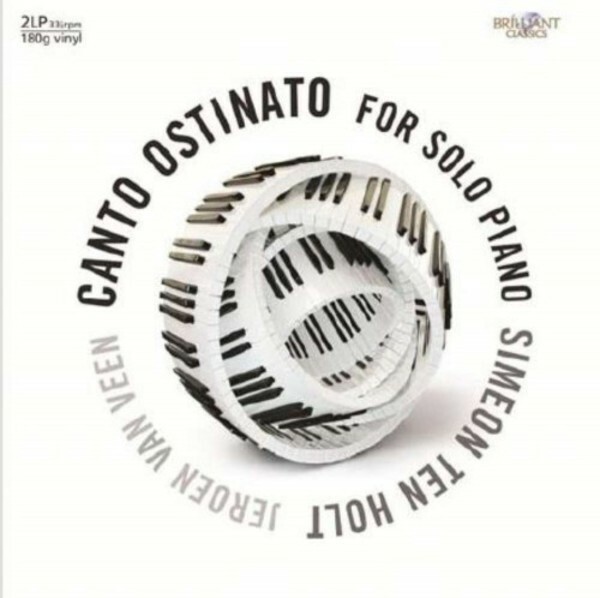 A double LP of a solo piano version of Canto Ostinato by Simeon ten Holt. Canto Ostinato is an iconic work, one of the masterpieces of Minimal Music, consisting of 100 cells or patterns, which are shifting constantly, if only slightly, upon the decision of the performer. Jeroen van Veen has a special affinity for this work, having worked on it with the composer. He presents an authoritative interpretation, enhanced by that special analogue sound of vinyl.